Wawa Energy Solutions (WES) products serve a broad array of power requirements for equipment, media, communications, safety and emergency applications. 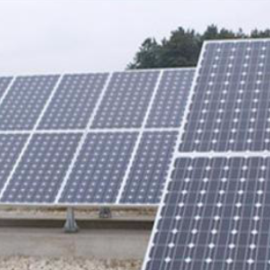 Industrial sites are often conveniently located and constructed for the use of sustainable energy generating products. Especially, flat roofs are an excellent foundation for products such as the Energy Ball®, solar panels and solar heat tubes. The sun and the wing being abundant in Africa, create the perfect opportunity to use our unique solar products in Africa. Whether you’re retrofitting your existing home or place of business or planning to incorporate energy efficient products in a new structure, WES can provide cost-saving energy solutions today for a cleaner tomorrow.